The Washington, DC Metropolitan Police DC MPD) is understaffed according to Metropolitan Police Chief Cathy Lanier. This increases the concern over the unsafe operational readiness issues plaguing a dangerously understaffed U. S. Park Police (USPP). The USPP depends heavily on DC MPD during large events due to the dangerous understaffing of the USPP by the National Park Service. During a critical incident on the National Mall the full staffing of the DC MPD and the USPP will be a critical factor in the response. Lives depend on the ability of these agencies to swiftly and resolutely respond. The Booz-Allen study determined that the USPP needed 820 Officers — 2 years before 9/11. 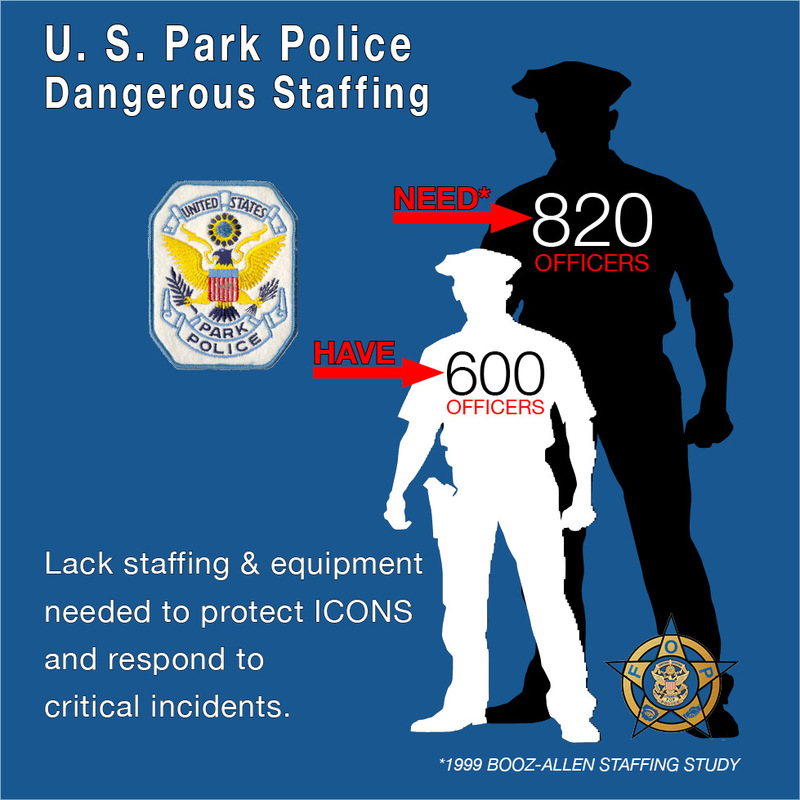 The USPP is at least 230 officers short of safe staffing for a 1999 world. Currently, the USPP does not have the staffing and equipment needed to effectively respond to critical incidents or adequately patrol its jurisdiction.